Stress is a part of everyday life and it can have its good parts and its bad parts. There is a lot of research out there looking at stress and weight gain and this one takes that a little bit more into consideration and it looks to control for everything that isn't stress related. 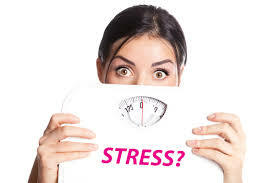 This group of researchers looked at multiple factors that can be associated with stress and potentially weight gain. They observed these factors from 1995 to 2004 in over 1350 men and women. They also did what they could to control other factors that could lead to weight gain and focus solely on the factors related to stress to see how that can affect weight gain. What they found in this study is that men with high baseline BMI's weight gain was associated with increase levels of psychosocial stress related to job demands, lack of skill discretion, lack of decision making authority and a difficulty in getting your bills being paid. Among women with high BMI's, weight gain was associated with job demands, perceived constraints in life, strains in relations with family and a hard time paying bills. I don't think it comes as much of a surprise for anyone that stress can lead to weight gain, it has been fairly well documented. What I think that is surprising about this study is that they controlled for factors that weren't stress related to really show how much stress can play a factor in someone's weight gain. There can be lots of frustration when it comes to weight loss and I think this study highlights just another area and frustration that comes with weight loss. Even if you have the perfect set up of diet and exercise but stress is crushing you at work and at home you may not see the results that you are wanting or expecting. This goes beyond 'stress eating' and getting after the quick fat and sugar. It really can mess with you even with good diet and exercise and it has to be a factor that you try and control as much as possible. We will do a follow up post on some ideas to relieve stress and help control your levels in the near future. Check out Clinically Pressed's Weight Loss 101 Program for a no BS way on how to get your weight and diet where you want it to be.